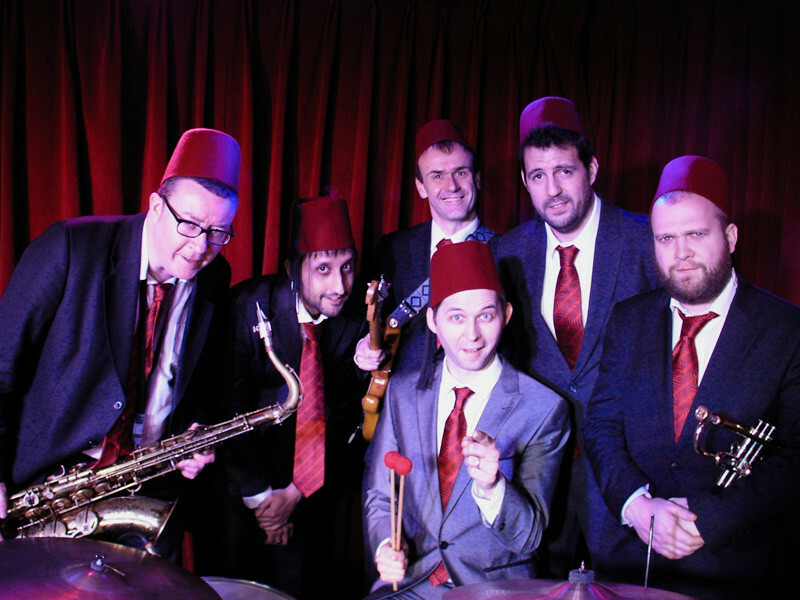 Mez & the Fezzes is an all-star band featuring members of the Van Morrison Band, Jools Holland Rhythm & Blues Orchestra and Madness. Between them they have worked with BB King, Paul McCartney, Tom Jones, Robert Plant, Joss Stone and many many more. Led by drummer/lead singer Mez Clough, the Fezzes play an infectious mix of rhythm & blues, rock 'n' roll, surf and swing. They keep the dance floor rocking with classic tunes from the likes of Chuck Berry, Fats Domino as well as cult movie themes from Quentin Tarantino. The band has performed at the Madness 'House of Fun' Festival and top UK Vintage event Twinwood Festival. 9pm.